In my course on ancient and modern apocalypses, one of the struggles I face is assisting students in the shift required from thinking about ancient apocalyptic texts to examining modern apocalyptic movements. When they first enter the class, the students approach the ancient texts as a kind of literature, something one might sit and read quietly to oneself. It is one of my pedagogical goals that students move beyond a literary analysis of the primary texts and start thinking about the people, ideologies, and communities that produced, read, and practiced their religion through such texts. In order to accomplish this goal, one thing I have my students do is to perform an eschatological banquet based on the description of this banquet available in the Dead Sea Scroll text called The Messianic Rule (1QSa). Engaging students with apocalyptic material in this way develops several pedagogically relevant points, two of which will be highlighted in this article: First, the performance of this text forces the students to really interact with the text, not just read it passively. While we had previously covered the historical settings of apocalypses, and placed each apocalypse within its historical context, it was still “just text” to them. Performing the banquet shifts their analysis of the texts from the realm of academic into the realm of cultural and societal function, assisting the students with thinking about apocalypses as artifacts of social action. Second, the students engage in a close reading that actually matters beyond the abstract. Their interpretation of the text is, indeed, what makes the banquet happen. Through this close reading students are able to experience what it is like to do history; the challenges inherent in historical reconstruction, and especially to note the holes that we scholars find in our ancient evidence, and how we work through constructing what may fill those lacunae. Preparation: Leading up to our segment on the Dead Sea Scrolls, and specifically the eschatological banquet, students will have, at a minimum, (1) read introductory scholarly materials on apocalypse as a genre and apocalypticism as a worldview; (2) spent ample time working through early apocalypses, e.g. the Book of the Watchers (1–36) and the Animal Apocalypse (83–90), both found in 1 Enoch, and the book of Daniel. (3) We will have also grappled with the historical world of the Second Temple Period on a large scale, as well as considered what we can learn about the historical setting of each apocalypse individually, and sometimes in conversation with one another. At the beginning of our segment on the Dead Sea Scrolls, the students engage in at least two scholarly reconstructions of the community, as well as reading The Community Rule and 4QMMT, both of which help the students situate the social and political reality as perceived by the Dead Sea Scrolls community. In order to prepare the banquet itself, we read the Messianic Rule, as well as Lawrence Schiffman’s analysis of column 2 lines 11–22, what Schiffman calls the “messianic banquet” and I refer to as the “eschatological banquet.” The secondary material is important in this assignment—while I walk students through my three-step method of reading ancient texts at the beginning of my classes each semester, and we spend time practicing in every class session, this activity is the first time the students will be left to their own devices in the interpretation of a text. Schiffman’s chapter assists them with thinking through some of the interpretive problems that might come up, as well as reminding them to think about the piece in the larger Qumran setting. These items are available to students throughout the entire class session. Who are the participants of the banquet? If the banquet were to take place, what would it look like? What information is “missing” from the text in order to perform it? My role was almost exclusively as overseer—I made the suggestion that they use the white board to make lists, and then let them work out most of the details with very little input from me. They collect the bread and “wine,” set the table, and debate whether or not other food should be on the table. Every time I have done this the students have ultimately decided that they want other food—initially because they wanted to eat, but eventually someone points out that in Schiffman they learned that in our literary evidence from antiquity bread and wine were staple food and drink at meals, and are often used as the stand-in elements representative of entire meals, not necessarily because they would be the only foodstuff present. The students assigned the roles—the two messiahs (Priest Messiah and the Messiah of Israel [who is the King Messiah from the Davidic dynasty]; name tags are fun for them in the assigning of roles and helps them envision the hierarchy), the chiefs of the people, the heads of family, and wise men. 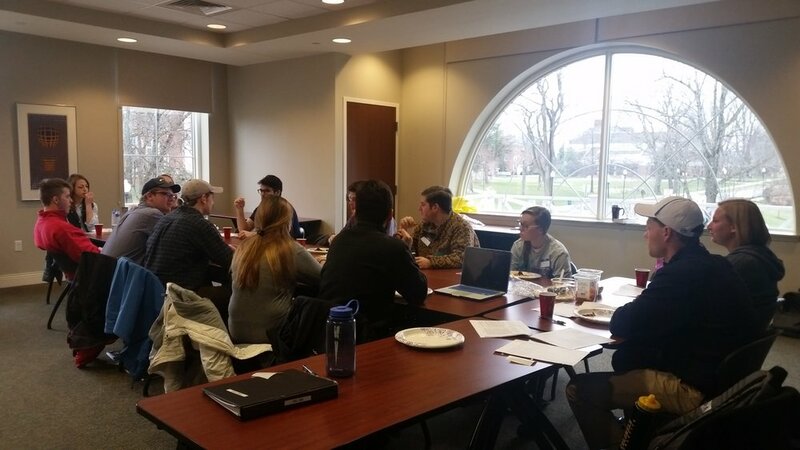 Students did have a frank discussion as to whether or not only the men of the class should be able to participate in the eschatological banquet. I reminded them about the beginning of the Messianic Rule, which mentions women and children, and we discussed the possibility of the participation (or, most likely, not) of women and children in this banquet. There is also the space to explore what this text means in terms of people with disabilities. In my students’ performance, they exited the room, entered quietly, and settled around the table in hierarchical arrangement. After their first entrance, once they had sat and blessed the bread and wine (which they interpreted, based on the text, to be that each one had to bless individually after the messiah & priest, and the same with the wine), I asked them about purity. The students reread the entire piece and, finding reference to purity in column II, lines 4­–9, they decided they had to redo the entire thing, but with some sort of ritual washing first. 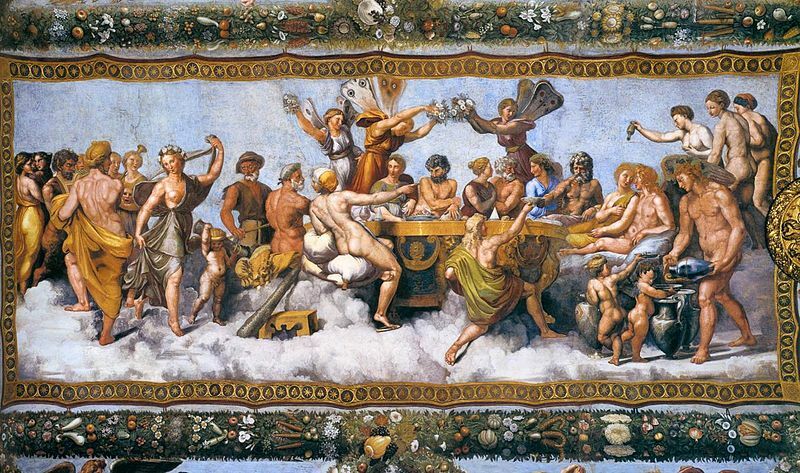 The students washed their hands, then exited the room, re-entering this second time in the same hierarchical order, sat, ran through the blessing of the bread and the wine, again in hierarchical order, and then proceeded to eat. While they were eating we discussed their thoughts on the experience, and how it shifted their understanding about the Qumran community, the function of the text, the roles of food, purity, gender, etc. We also discussed the difficulties inherent in interpreting a text that initially seems to be a description of the eschatological banquet, but how it became challenging to enact based on the instructions offered in the text. Beyond the inevitable “fun” reason for implementing this performance in class—and it is fun both the students and myself—there are multiple reasons why this is a useful pedagogical tool. First, students stop thinking about the material as just texts, and begin to think about them in terms of the text’s function in a community. Performing the banquet shifted their analysis from the realm of the academic into the realm of something that is socially functional, assisting with student thinking about the ancient texts as representative of real people and their actions and beliefs. Second, students engage with a close and critical reading of the text, where their reading matters beyond what might be expected in a class discussion, in a paper, or on a test. Their interpretation of the text is, in fact, what makes the banquet happen. Students thus engage in history-making, participating in the act of imagining and reconstructing history based on the extant evidence, which is what we as scholars do. Thirdly, the students come to understand deeply that some of “history” is simply irretrievably missing. This type of reconstructive, engaged reading highlights the gaps in our ancient evidence as they try to recreate the motions depicted in the text, which shows students the challenge that professional historians face and helps to explain the reason for multiple scholarly interpretations. Using performance to teach apocalyptic texts is thus one way to engage our students in active, experiential learning, and to encourage them to think about these texts as artifacts of real people and communities. Dr. Shayna Sheinfeld is Visiting Scholar in Jewish Studies at the University of Kentucky. Lawrence H. Schiffman, The Eschatological Community of the Dead Sea Scrolls: A Study of the Rule of the Congregation (Atlanta: Scholars Press, 1989), 53–67. Images of students used with permission.